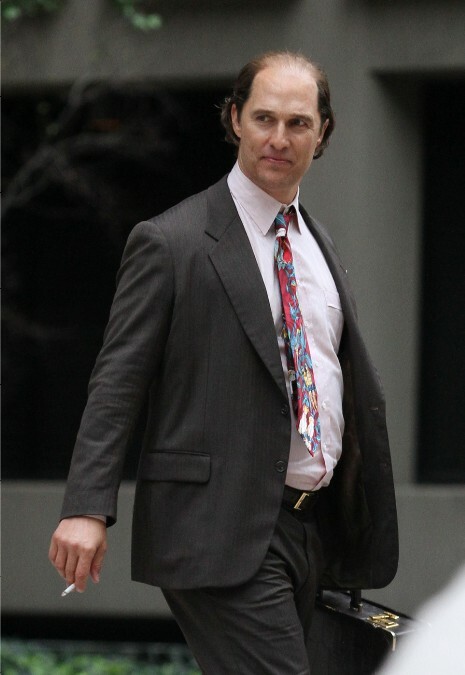 Matthew McConaughey seems to be pulling a Johnny Depp in his currently filming movie “Gold.” His character is balding and has packed on a few pounds. (Hopefully, this is NOT what Matthew’s wife Camilla has to look forward to in the future.) In the movie, Matthew plays an unlucky businessman who gets involved in a mining corporation scandal in the 90’s. The company claimed they discovered a large gold deposit in Indonesia and stock prices skyrocketed. It turned out to be a fraud and the company collapsed. Matthew’s character does get to spend some time in the Indonesian jungles of Borneo, although he doesn’t look physically fit for such an adventure. Maybe Camilla loves Matthew and will continue to love him in whatever shape he becomes. It’s not love if you dump him for gaining a few pounds and losing his hair, whether it’s for a role or not. At first glance he slightly resembles Prince William. Looks better here than when he was a walking skeleton in the Dallas Buyers Club.